What is shortening and why is it used in baking? Shortening is flavorless and consists of 100% fat. It's designed to be used in baking applications where its ability to remain solid at room temperature can benefit the ease of preparation of the food as well as the consistency of the dough. 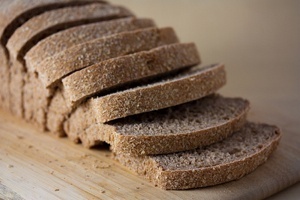 The compounds in wheat-based flours that form gluten; glutenin and gliadin, have trouble binding together and creating structure because they get slippery as they get coated by the fat. This causes the gluten bonds to become blocked partially or completely, depending on the amount of fat present. This is also why adding a couple Tablespoons of any type of oil to a loaf of bread dough will cause the loaf to bake up more soft and tender. The fats also repel and displace water, which is needed to activate the glutenin and gliadin into gluten. When there are streaks of shortening or other fats in doughs such as pie crusts or puff pastry the fat separates the layers of dough from each other, allowing them to further separate as they trap rising steam and gas during baking. Shortening does this job well because unlike vegan butter which contains water that would activate some of the gluten, shortening is 100% fat so the gluten bonds are minimized as much as possible. This results in crispy, crunchy, flaky goodness. Using a fat that is solid at room temperature such as shortening is critical because a liquid oil would be soaked up by the flour and evenly dispersed in the dough too evenly during mixing which would result in a crumbly, mealy finished product. After baking has completed and the baked item has cooled down, the solid fats solidify, adding a sense of dryness to the finished product. The trick is that you want a certain amount of gluten to be activated by the water added to your recipe so you get your desired texture. More water activates more gluten and downplays the role of the solid fats. 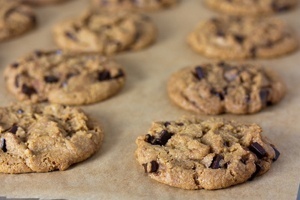 Less water activates less gluten and allows more crumbly, flaky goodness to come to the fore in your baked item. Fine tuning the specific amounts of shortening and water-based ingredients, you can perfectly dial in the perfect level of short dough characteristics. Take a look at any pie crust recipe and you’ll see this delicate ratio of solid fats to water-based ingredients in action. It wasn't until I started Veganbaking.net that I realized that the US is one of the only countries in the world where shortening can be easily found. This recipe allows you make shortening if you're unable to find it in your area. It also gives you the option of avoiding regular store-bought shortening which is usually based on palm oil. As of this writing, palm oil is currently associated with rainforest destruction in Sumatra as well as other places. Isn't it ironic that a vegan product can negatively affect environmental and animal welfare? Coconut oil is still flown half way around the world but at least it's a step in the right direction. I recommend refined coconut oil in this recipe. Refined coconut oil has been deodorized by passing it through a filter which removes its naturally occurring coconut flavor and aroma. If you want a strong coconut flavor in your baked item then go with unrefined coconut oil by all means. One of the most powerful things about making your own ingredients is that you have more control over the outcome. 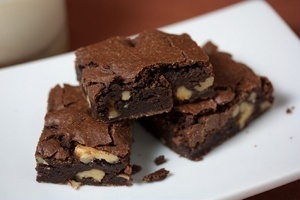 Try using unrefined coconut oil instead of refined to make a true coconut flavored shortening. Then use it in the pie crust you use to make a coconut cream pie. You could utilize this trick anywhere a hidden layer of coconut flavor could enhance your dessert! A Note of Caution Coconut oil melts at about 77F (25C) so if you're going to be using this shortening in frostings and other preparations where it's not being baked into actual products like pie crust, and the temperature exceeds that temperature, the shortening will melt and your frosting will slide down your cake. If you do need things like frostings to be more temperature stable and similar to traditional frostings, I recommend a version of this vegan shortening that's based on deodorized cocoa butter which is forthcoming. 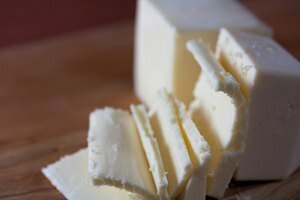 Learn more about the melting temperatures of fats. 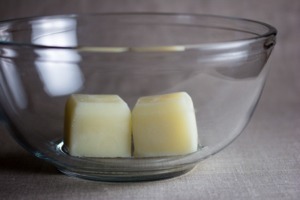 Melt the coconut oil in a microwave so it's barely melted and as close to room temperature as possible. Measure it and add it and the canola oil to a food processor. Making smooth shortening is dependent on the mixture solidifying as quickly as possible after it's mixed. This smoothness depends on the fats solidifying before they get a chance to separate. This is why it's important to make sure your coconut oil is as close to room temperature as possible before you mix it with the canola oil. Process for 1 minute, scraping down the sides halfway through the duration. 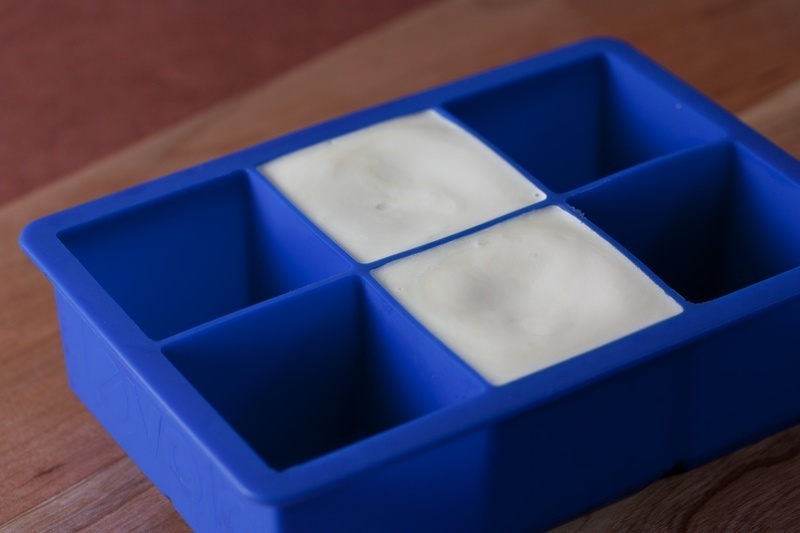 Pour the mixture into a mold such as an ice cube tray and place it in the freezer to solidify. An ice cube mold works well. The vegan shortening should be ready to use in about an hour. Store it in an airtight container in the refrigerator for up to 3 months or wrapped in plastic wrap in the freezer for up to 2 years. This recipe makes 1 cup, 215 grams, or the equivalent of 2 sticks Coconut Oil Vegan Shortening. Get a price on the Ice Cube Tray I Recommend at Amazon. Can this be used as a substitute for vegetable shortening? I'm baking a cake for my little bro, and I want to know if I can use this instead of the vegetable shortening for the frosting? Hi, I really applaud your efforts to be more conscious about the ingredients you use and especially thank you for becoming vegan. However, I would like to point out that canola oil is not healthy for you. A genetically modified product, canola oil is a Canadian invention that is backed by their government, cheap to manufacture, and many processed or packaged foods contain it. Canola oil was first created in the early 1970s as a natural oil, but in 1995, Monsanto created a genetically modified version of canola oil. Naturally grown rapeseed contains a high amount euric acid (54%) which damages heart muscles. Always use natural nut or seed oils and leave the canola alone. And a little tip, if you add a small amount of tumeric to your shortening, you have a golden colored substitute for butter. Hi, I'm just starting to eat vegan. Just wondering about the Vegan shortening. Do I have to keep it in the freezer? The ingredients used are not kept in the freezer. Just wondering. Things in our freezer seem to get forgotten sometimes. Thank you. Thank you for this recipe! 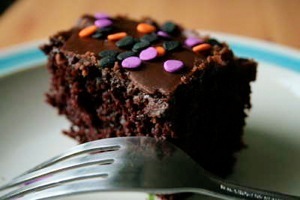 It was so easy and worked well in a frosting recipe that called for vegetable shortening. I'm glad this allowed me to avoid using palm oil. 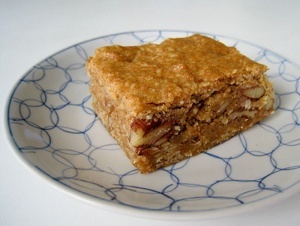 Hi this recipe is an incredible find for my kiddo with so many food allergies. However, I do need an alternative to Coconut oil as I need to make an allergen free birthday cake for her in 4 weeks and need to make my own icing, have you posted the cocoa butter recipe yet?? 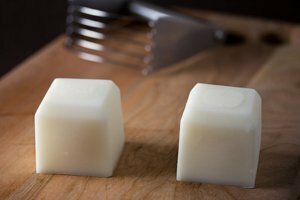 Could you use this homemade shortening then buying vegetables shortening for soap making? Thank you for this recipe. Can you link me to your recipes that uses your shortening? I have been trying to make empanadas (de camote y pinia) several ways. I have used this recipe, but I cannot get it to work. My dough is to "wet" and cannot be rolled. It falls apart. I'm trying to figure out how to get it to work by looking at other recipes. :) I haven't given up on these empanadas... TIA. Here in South Africa all the vegetable shortening has whey added to it - no idea why - and I also have no idea why it took me so long to think of looking on your site for a shortening recipe! Yay!! Also posting this on our local vegan site for others to see and use - thanks so much :). Substitute for canola, olive oil? Will macadamia nut oil or avocado oil work in place of the canola oil? Thanks. Excited to try this out. I'm new to vegan baking for this few months. I have a question regarding this shortening. Here in my country, the room temperature is about 35-37 Celcius. It's rather hard to find a coconut oil that is not liquid. Is there any other solution? I've been trying to figure it out this past month. is this shortening suitable for making fondant? does have to be refined coconutoil? So glad you're able to make shortening now Sandy! Happy baking! Spectrum palm shortening and Tropical Traditions shortening are both sustainable and forest friendly. Both sites offer great information on the issue. allergy free birthday cake for my daughter. Great idea! now i can start experimenting an allergy free cake for my daughter. i wish i could come up with recipes like that ha ha! Hi Mattie, I am trying to do a vegan Fondant and it has been very hard to find out how to do it. One of the ingredients I would need is a shortening and I will use your recipe. However, today I went through the whole city trying to find refined coconuts oil but could just got unrefined. Do you think that there is any problem with that? I thank in advance your advice! Hi Abril! There should be no problem- both refined coconut oil and unrefined coconut oil behave exactly the same in food. The only difference is that refined coconut oil is passed through a filter that removes the coconut oil aroma and flavor. Your fondant will probably just taste a little more like coconut than you planned. Yum! Hope it worked out! Thanks for this very helpful article! I'm now one step closer to understanding this shortening business. I've really struggled with it, and now I just have one question, I hope you can help me with. Where I live, we have this 100% coconut oil block in stores. It's completely solid, almost too solid to use sometimes... It's mostly used to cook or "deep fry" these traditional Danish pastries in a pot, but I am wondering if this is all I need for, let's say, a vegan pie crust? Is it necessary to mix it with something else, as you have done above, when it's already a solid block of oil? Great question Line! I assume you live in Scandinavia? They also may have what you're talking about in Australia I believe. I'm pretty sure the coconut oil you're referring to is hydrogenated, which lowers the temperature at which it becomes solid, hence the extremely hard nature of this product. Since I have no experience with this product, it's difficult to tell how it measures up to American-style shortening. Since the product you're referencing is 100% fat, it's probably extremely similar. I recommend substituting it where shortening is called for and see what happens. A pie crust would be the perfect place to start! Hi, I live in a hot climate, often above 25 degrees celsius, I'm trying to make cupcake frosting and the coconut oil version will melt if the weather is hot? How do I make vegan shortening with deodorised cocoa butter? I became vegan this year and have struggled to re-learn how to cook. I am so glad to have found your site today. Thank you so much for sharing your work! I'm making my first vegan pie crust today (for international pi day tomorrow), substituting your vegan butter and shortening in the Cook's Illustrated foolproof pie dough recipe that I used for years as an omnivore. I believe it will work! Thanks Amy! It should work fine. My pie crust is actually heavily influenced by the Cook's Illustrated version and I use this shortening in it all the time. Have a great Pi Day! Can you explain why you need to mix the coconut oil with another liquid oil? I have tried just using coconut oil by itself. I am interested in your vegan butter. I will find that recipe. Thanks! I made this shortening for the vegan frosting recipe and it worked fantastically. This is just my own personal opinion but there hasn't been enough research on coconut oil to deem it unhealthy. Regardless, this is a great way for one to take control and cut out the hydrogenated ingredients normally found in shortening. Thanks Apple! It's so easy! Can I use the shortening recipe in baking recipes that require butter? Can I whip it with an electric beater while making the cake batter? It is difficult to procure xanthan gum. It is so exorbitantly priced. I cannot make vegan butter solely due to this reason. Hi Gemini, This is definitely not recommended as a vegan butter substitute. 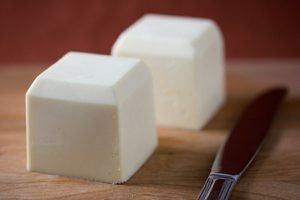 Regular butter (and my vegan butters on this site) is about 78% fat, 18% water and 4% solids. Shortening is 100% fat so your recipes won't turn out right if used in the place of vegan butter. Also, in the vegan butter recipes I call for lecithin for emulsification and xanthan gum for minimal foaming during whipping. Since my shortening recipe is just fat, it won't whip at all. For convenient vegan cake baking I recommend vegan recipes that don't require whipping. Good luck! I am not sure if this will work for me :( I live in the Caribbean where it is very hot and coconut oil is liquid at room temperature... maybe I will still try. This will totally work for you! Just skip the step where you melt the coconut oil- it's already been done for you by Mother Nature;) Regular shortening melts at around the same temperature as this one so it's all the same once it's solidified in your refrigerator. 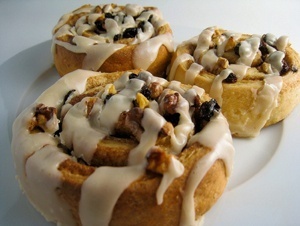 I am SO making this right away with light olive oil. You rock!